Ayurveda, the ‘science of life’ comes from the Vedic civilization of India and is considered the oldest and most comprehensive health system in the world. Although practiced for thousands of years in India, Ayurveda’s valuable approaches and therapies have been forgotten through its long history. In the late 1970s the Vedic scholar Maharishi Mahesh Yogi worked with leading Ayurvedic physicians and experts to revive Ayurveda in its entirety This original and complete form of Ayurveda is called Maharishi Ayurveda® and includes the full range of Vedic disciplines described in the classical texts. In 1997 the "All India Ayurvedic Congress" officially recognized Maharishi Ayurveda® as the most effective and complete embodiment of the traditional Ayurvedic health system. The All India Ayurvedic Congress, founded in 1907, is the largest professional association of Ayurveda in India with a membership of over 300, 000 Ayurvedic doctors and scholars. For our Maharishi Ayurveda products we use only the best raw materials. All our products are prepared strictly according to the ancient, traditional formulas and classic, sometimes very elaborate production processes. Consistently high quality is ensured by controls in our production facilities in India. Additional tests by independent, certified European laboratories ensure quality according to current directives and laws – all-round purity and safety for your well-being! Our extensive range of over 900 products offers authentic Ayurvedic food supplements; delicious Ayurvedic teas and beverages; fine spice (Churnas) for Ayurvedic cooking; BDIH certified, controlled Ayurvedic natural cosmetics; natural, pure, high quality aromatic oil blends; harmonizing Gandharva Veda Music®, CDs for music therapy, and more. More information about the wide variety of our products on sale. Here on our website you will find valuable and easy-to-implement Ayurveda tips for soothing inner balance, and for the different seasons and life situations. Also a dosha test as a first assessment of your personal Ayurvedic type, and delicious Ayurvedic recipes. Regular information about current issues is available on the blog of our site, via Facebook, Google+ and YouTube. 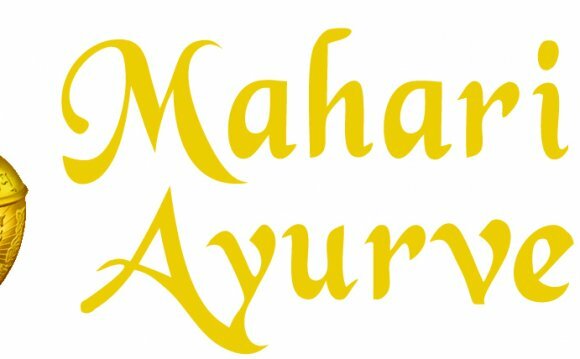 With more than 50 country representatives "Maharishi Ayurveda®" is today’s leading manufacturer and provider of high quality Ayurvedic products worldwide. Since 1987. Maharishi Ayurveda® represents 100% Ayurveda. We are committed to sustainability, authenticity, responsibility and holism. In terms of quality we do not compromise. The Maharishi Ayurveda Private-Clinic in Germany (Bad Ems).